We conducted a type of “field experiment” in September 2017 to evaluate how difficult it will be for companies to implement the recommendations of the Task Force on Climate-related Financial Disclosures (TCFD). We examined the disclosures of 15 of the largest oil & gas companies by market cap that had filed a 10‑K or 20‑F in 2016, so before the TCFD’s recommendations were published. In general, we found reporting for that year uneven, with some TCFD categories fairly well covered and others not. We also found variation across companies, with most making fairly modest disclosures but some being fairly progressive in this regard. Significantly, we also found that most of the disclosures were in voluntary sustainability reports, not the financial filings required by statute and as recommended by the TCFD. Taken in the aggregate, at least one company was reporting on each of the 11 recommendations with one exception. This suggests that it is feasible for companies in this sector to follow the TCFD’s recommendations if they are interested in doing so. In June 2017, the Task Force on Climate-related Financial Disclosures (TCFD) published its final report of recommendations1 for how companies should report on climate issues. The TCFD emphasized that these disclosures are voluntary and should be done within existing financial filing requirements. Adoption depends on a number of factors such as how relevant companies think these disclosures are to investors, how difficult it will be for companies to adhere to these recommendations, and what the real and perceived legal liabilities are for including this information in financial filings. We explored how difficult it will be for companies to implement the TCFD’s recommendations by examining the disclosures of 15 of the largest oil & gas companies that had filed a U.S Securities and Exchange Commission (SEC) Form 10-K or Form 20-F in 20162 and their sustainability reports.3 Our reasoning was that if companies were already doing a reasonable amount of disclosure before the TCFD recommendations were published, then it would be more feasible to implement those recommendations than if virtually no related disclosures were being made. In general, we found reporting for 2016 uneven, with some TCFD categories fairly well covered and others not. We also found variation across companies, with most making fairly modest disclosures but some being fairly progressive in this regard. The fact that even a few companies are coming close to these recommendations, even before they were published, is evidence that it is not an impossible or overly burdensome task to do so. The TCFD final report, “Recommendations of the Task Force on Climate-related Financial Disclosures” (TCFD Recommendations) includes four broad themes—governance, strategy, risk management, and metrics and targets. However, Picot argued that fear of legal action is not an excuse to refuse to report on climate risks; “If they [companies] begin to make the disclosures in sustainability reports in the early days, that’s fine. Just get the info into the marketplace. It [legal risk] should not be used as an excuse as to why they don’t do this.”7 While legal risk is often cited in voluntary reporting, in fact there is little to no evidence that it exists if the disclosures are accurate and not misleading. This is true even in the litigation-prone United States. Our view is that the “legal risk” argument is more of an excuse for not reporting than a valid reason for not doing so. To what extent were oil & gas companies already following the TCFD recommendations using existing guidance from the SEC, Global Reporting Initiative (GRI), and Sustainability Accounting Standards Board (SASB)? If most (all) companies show a large gap in complying with the TCFD Recommendations, would closing this gap result in increased legal liabilities from disclosure? What needs to be done to facilitate adoption of the TCFD recommendations? In general, we observed that companies provided more information relevant to the TCFD Recommendations in their voluntary sustainability reports than in the SEC Forms 10-K or 20-F. This raises the critical question of just how difficult it will be to get companies to start putting this information they are already disclosing into their financial filings as recommended by the TCFD. The looming issue here is the question of legal liability and whether it is significantly more when the information is in a regulatory required filing vs. a voluntary disclosure such as a sustainability report. Disclosures were weaker for Governance, Risk Management, and Metrics and Targets. The deficiencies were directly related to the 11 specific TCFD disclosure recommendations: failure to describe board oversight and management’s role in assessing climate risks; processes to manage and mitigate climate-related risks; and metrics to assess climate risks. For example, companies described board composition and expertise, but only one (Eni) provided details about the number of board committee meetings that addressed climate risk. Companies discussed climate-related risks in the “Risk Factors” section of their SEC filing, but these disclosures lacked detail. With respect to Metrics and Targets, many of the companies disclosed their greenhouse gas emissions in terms of performance and future goals, but discussions about how targets related to business model and corporate strategy were rare. Although disclosures were generally weak for these 15 companies, it is important to note that with only one exception, that being the recommended disclosures regarding integration of climate-related risks into overall risk management processes, there was at least one company reporting on the 11 detailed recommendations. For the most part, these disclosures would not be ideally what the TCFD and investors are looking for, but they demonstrate progress is already being made even before the final report was issued. The one recommendation for which there is no example seems to be largely an issue of thinking about risk management more broadly to go beyond the usual operational issues to examining the risks to a company from a system-level factor. Although there is no company reporting on all 11 recommendations, the fact that with one exception, at least one company is doing so, clearly shows that implementing the TCFD’s recommendations in the oil & gas sector can be done. We would further argue that if it can be done in oil & gas, then it should be possible to do so in all other industries, recognizing that there are some particular complexities for financial institutions. Eni, ExxonMobil, and Statoil provided the most robust disclosures. The disclosures made by the other companies were often limited and perfunctory, leaving the impression that strict conformity with SEC rules and regulations was the primary objective, rather than transparency. Eni, to some degree, addressed each of the four high-level disclosure recommendations in their Form 20-F or sustainability report. Statoil also addressed elements of all TCFD recommendations. While Statoil explained the link between executive compensation and environmental and social targets, it did not provide information about the role of the board or board committees in the oversight of climate-related issues. ExxonMobil’s reporting on asset impairments risks, research and investments in new technologies and energies, and graphical presentation of emissions were, for the most part, consistent with some of the TCFD recommendations. With the exception of asset impairment, ExxonMobil’s disclosures were made in their sustainability report. Exxon took a more guarded approach to the information provided in SEC filings than Eni and Statoil. Based on our analysis, we conclude that existing disclosure practices demonstrate that at least some foundation is in place for companies to implement the TCFD’s recommendations. Most of these disclosures were in the voluntary sustainability report, raising the challenge of what is involved in shifting content from voluntary sustainable reports to required financial filings. Again, we should emphasize that we examined disclosures in the year before the TCFD recommendations were published. It will be interesting to see what improvement are made for the year 2017 and especially 2018 when companies will have had more time to address these recommendations. A suggested three-step process to help companies address the TCFD’s recommendations follows. Step 1: The TCFD recommendations begin with the role of the board. The board should determine whether, and the extent, or not the company will adhere to them. To make its determination, the board may want to instruct management to gather input from its major shareholders and other key stakeholders. The board could then publicly explain its decision in an annual “Statement of Significant Audiences and Materiality” (The Statement).11 The Statement is a concise way for the board to identify which types of shareholders and which stakeholders are particularly important for the ability of the company to create value. Step 2: Management needs to develop and put in place the necessary organizational structures, processes, and internal control and measurement systems for implementing the TCFD’s recommendations. These should be presented to the board for feedback and approval. Step 3: The board and management should get advice from its auditing firm and legal counsel regarding the legal issues involved in moving information from a voluntary sustainability report to a required financial filing. Recognizing that both will likely give a conservative view, opinions of accounting and legal opinions from people who are experts in the recommendations of the TCFD should also be solicited. Will companies do this? There may be enough leaders in the corporate community who will point the way towards best practice which others will follow. However, regulatory support will ultimately be necessary. Climate change is a systemic issue and so investors need system-level data, which means data from all listed companies and eventually the large private ones. Task Force on Climate-related Financial Disclosures. “Recommendations of the Task Force on Climate-related Financial Disclosures, ” https://www.fsb-tcfd.org/publications/final-recommendations-report/. We planned to select the 15 largest oil & gas companies by market cap. However, our search identified companies that had not filed an annual report with the SEC for 2016. Neither corporate websites nor the SEC’s EDGAR database explained the reasons why no filing had been made. “Sustainability report” is used as a generic term to capture a variety of report names including, but not limited to, environmental, health, and safety report; sustainability report; corporate citizenship report; and corporate responsibility report. Environmental Finance. “Don’t use legal risk as an excuse not to report under TFCD, says Picot,” by Peter Cripps, September 15, 2017. Responsible Investor. “TCFD Analysis: The focus now turns to re-thinking materiality,” by Daniel Brooksbank, June 29, 2017. Environmental Finance. “The legal risks of reporting climate risks,” by Hamza Ali, June 27, 2017. Environmental Finance, “Don’t use legal risk as an excuse.”. Companies are listed in order of market capitalization. Forbes. “The World’s Biggest Public Companies,” 2017 Ranking. https://www.forbes.com/global2000/#1d45c7ed335d. On February 2, 2018, ExxonMobil released “Energy & Carbon Summary: Positioning for a Lower-Carbon Future and its Outlook for Energy: A View to 2040,” which includes 2 °C scenarios and include sensitivity analyses on electric vehicle penetration and renewables deployment. Eccles, Robert G.; Krzus, Michael P.; and Ribot, Sydney. The Integrated Reporting Movement: Meaning, Momentum, Motives, and Materiality. New York: John Wiley & Sons, Inc., 2014. Also see: Eccles, Robert G. and Youmans, Tim. 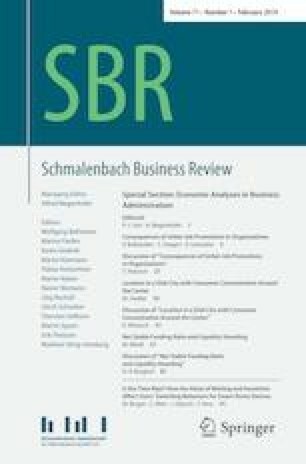 “Materiality in Corporate Governance: The Statement of Significant Audiences and Materiality.” Journal of Applied Corporate Finance 28, no. 2 (Spring 2016): 39–47. MIT Sloan Management Review. “Restoring Trust After A Scandal,” blog entry by Eccles, Robert G. and Youmans, Tim, October 23, 2017. MIT Sloan Management Review. “The Board That Embraced Stakeholders Beyond Shareholders,” blog entry by Eccles, Robert G. and Youmans, Tim, June 9, 2016. MIT Sloan Management Review. “Why Boards Must Look Beyond Shareholders,” blog entry by Eccles, Robert G. and Youmans, Tim, September 3, 2015.